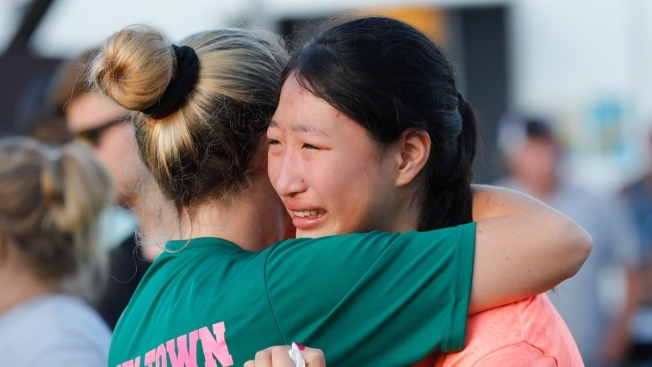 Congregations in this deeply religious community near Houston gathered Sunday for their first services since a gunman blasted his way into the high school and killed 10 people, with one pastor lamenting the grief "that none of us can comprehend." Just two days after the deaths of eight students and two substitute teachers, the pastor of the Dayspring Church acknowledged the pain wracking Santa Fe, a town of 13,000. "They will never be forgotten in this community, these young people, children just going to school," said Brad Drake, who then read the names of the dead, including a slain student who attended services at Dayspring. "We have families today that are grieving a grief that none of us can comprehend." 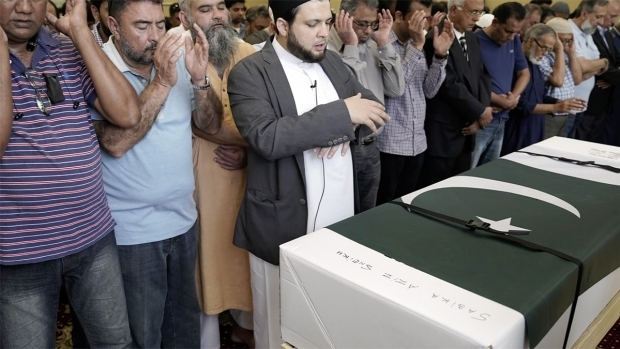 Funeral services were held for 17-year-old Pakistani exchange student Sabika Sheikh, who had been attending Santa Fe High School since last August. The family of the slain student, Angelique Ramirez, did not attend the service. She was a member of the church's youth ministry, Drake said. "She was a sweet young lady, had a style all of her own," he recalled. "She almost always had a new hairstyle." Kelly Ward, who runs a ministry in Springfield, Missouri, and is a licensed counselor, took the stage to urge congregants not to hold in their emotions. "How do we get through this? What do we do?" Ward asked. "The answer is to let everyone grieve, including yourselves." 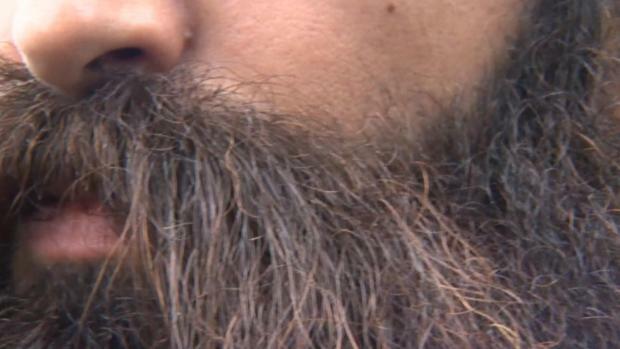 He said people can help grieving family or friends simply by listening. "No words are going to fix this. But your presence, being there is what the families need," Ward said. "Why is our presence so important? Because dwelling in us is the spirit of God." 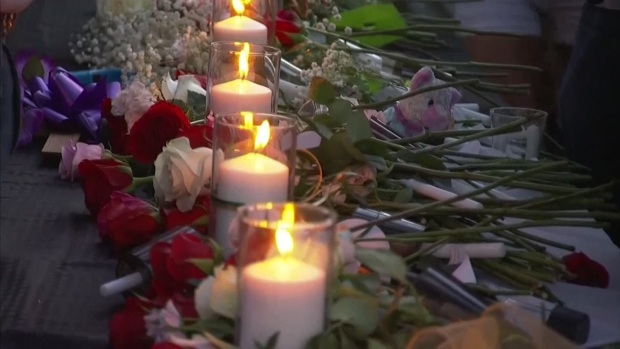 Hundreds attended a prayer service and vigil Friday evening for those killed and wounded in the Santa Fe High School mass shooting. Church leaders wore green T-shirts with gold lettering --the colors of Santa Fe High School. Inside an outline of the state of Texas, the letters spelled out a verse from 2 Corinthians 4:8-9: "We are hard pressed on every side, but not crushed; perplexed, but not in despair; persecuted, but not abandoned; struck down, but not destroyed." In a nearby church kitchen, parishioners prepared plates of barbecue to be sold after the service, with all the proceeds going to victims' families. At Arcadia First Baptist Church, Texas Gov. Greg Abbott hugged parishioners as they arrived. Among them was Monica Bracknell, an 18-year-old senior who survived the shooting. She stopped to tell the governor that the attack should not be turned into a political battle over gun control. Surrounded by television cameras, photographers and reporters, she told Abbott guns were not to blame. "People are making this into a political issue," she said she told him. "This is not a political issue. It's not a gun-law issue." It was not the first time faith in Santa Fe has been tested with the whole country watching. In 2000, the city was at the center of a landmark U.S. Supreme Court decision that banned students from leading pregame prayer over loudspeakers. The court ruled 6-3 that the school district's policy of allowing student-led prayers at campus events violated the constitutionally required separation of church and state. Justices said giving students a public forum for prayer was effectively sponsoring the message. Also Sunday, Texas Lt. Gov. Dan Patrick called for a "hardening" of the nation's school buildings in the wake of the attack. Patrick, a Republican, blamed a "culture of violence" and said more needs to be done to keep shooters away from students, such as restricting school entrances and arming teachers. "When you're facing someone who's an active shooter, the best way to take that shooter down is with a gun. But even better than that is four to five guns to one," he told CNN's "State of the Union." On ABC's "The Week," Patrick said he supports background checks for gun purchasers but stressed that "gun regulation starts at home." Meanwhile, families planned funerals. Services for 17-year-old Pakistani exchange student Sabika Sheikh took place Sunday at a mosque in suburban Houston. Her father, Abdul Aziz Sheikh, described his daughter as an accomplished student who aspired to work in civil service and hoped one day to join Pakistan's foreign office. Her body is to be returned to Karachi. The 17-year-old suspect, Dmitrios Pagourtzis, has been jailed on capital murder charges. In their first statement since the massacre, Pagourtzis' family said Saturday that the bloodshed "seems incompatible with the boy we love." "We are as shocked and confused as anyone else by these events," said the statement, which offered prayers and condolences to the victims. Relatives said they remained "mostly in the dark about the specifics" of the attack and shared "the public's hunger for answers." The suspect's attorney, Nicholas Poehl, said he was investigating whether his client endured any "teacher-on-student" bullying after reading reports of Pagourtzis being mistreated by football coaches. In an online statement, the school district said it investigated the accusations and "confirmed that these reports were untrue." Poehl said that there was no history of mental health issues with his client, though there may be "some indications of family history." He said it was too early to elaborate.